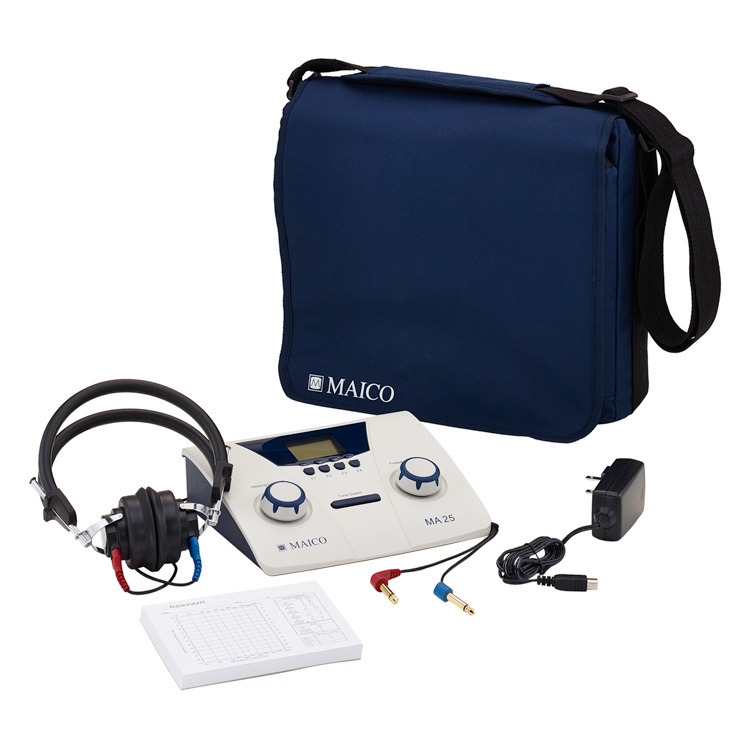 The MA 25e is engineered to be a portable, tough, and reliable air conduction audiometer with full range of frequencies. The super-lightweight MA 25e weighs in at only 3.6 lbs and is small enough to hold in the palm of your hand! Take the MA 25e anywhere with confidence. User-friendly knobs make adjusting frequency and hearing levels easy. Simple push-button operation for right/left, pulse tone and warble. Portable air conduction screener (125-8000 Hz). AC adapter or battery operated (3 AA batteries). Easy fingertip operation with frequency and hearing level controls. Exceptionally lightweight, only 3.5 lbs. The super-lightweight MA 25e weighs in at only 3.5 lbs. Small enough to hold in the palm of your hand! 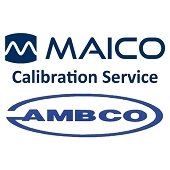 Tucked into its carrying case (included), the MA 25e is one of our smallest, lightest portables, offering a full range of testing opportunities. Results recalled from internal memory following test. 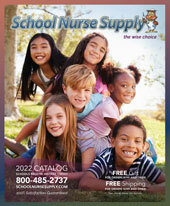 PC compatible with SNAP software. 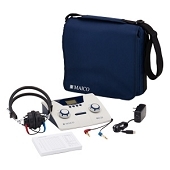 Includes patient response switch & USB cable.